Presenter for the 58th Mineral Law Institute Seminar (Haynesville Shale: Local Regulations and State Preemption). Philip (“Phil”) E. Downer, III, is the founding member of the firm. Mr. Downer was born and raised in Shreveport, Louisiana. 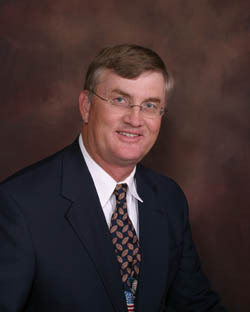 Mr. Downer received his Juris Doctorate degree from the Louisiana State University in 1985. Upon graduation, he returned to Shreveport and began the practice of law with and became a partner of the former law firm of Hargrove, Guyton, Ramey and Barlow. In 1998, Mr. Downer and Mr. Wilhite founded the firm. Over the course of his practice, Mr. Downer has and continues to participate in virtually every aspect of oil, gas and mineral law, including representation of developers, operators, marketers, pipeline entities, service companies and landowners. Specifically, Mr. Downer is well versed in: (1) the preparation, review and approval all forms of title opinions, including standup, drillsite, division order, acquisition and finance; (2) the negotiation, preparation and completion of complex purchase and sale agreements and related transfer and financing materials; (3) the negotiation, preparation and completion of farmouts, operating agreements, servitude agreements, road and pipeline rights of way agreements and other surface use agreements; (4) oil, gas and mineral leases; (5) leases and other transactions involving commercial real estate; and (6) entity establishment, administration, buyouts and dissolution. While Mr. Downer’s practice includes a substantial transactional practice, Mr. Downer’s transactional practice is equaled, if not surpassed, by his litigation practice. Over the course of his practice, Mr. Downer has and continues to have a complex litigation practice in both Louisiana State and Federal Courts. In addition to Mr. Downer’s vast trial experience before the Louisiana State and Federal District Courts, Mr. Downer is an experienced advocate before the Louisiana Courts of Appeal, the Louisiana Supreme Court, as well as the United States Fifth Circuit Court of Appeals. Supplementing Mr. Downer’s courtroom dispute resolution experience, Mr. Downer has and continues to assist clients in mediations, arbitrations and in proceedings before regulatory bodies, such as the Louisiana Office of Conservation, the Louisiana Department of Environmental Quality, as well as Parish, City and other local governing bodies. Mr. Downer considers himself a “cradle to grave” attorney, one that is able to assist the client from the beginning of a venture to its ultimate conclusion. This approach provides familiarity and continuity in actions, reduces learning curve time and allows the client and counsel to develop a cohesive working relationship, which over time allows counsel to have a better understanding of the client’s overall situation, thereby insuring that decisions and actions with respect a specific matter are tailored so as to obtain the best overall result for the client.